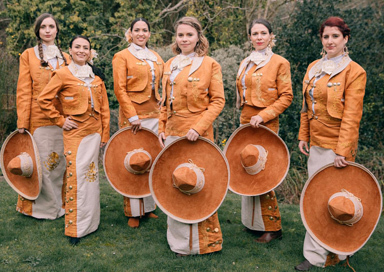 Hailing from Mexico, Cuba, Colombia, and the U.K this female Mariachi band was formed in 2013 out of the desire to shatter stereotypes and include, empower, and give a voice to women in the genre, in line with the social responsibility that comes with their name. They recently returned from playing at the Women’s Mariachi Festival in L.A, California where they received a standing ovation and played live on both Univision and Telemundo TV channels, and were featured in countless publications. They were the chosen band at the Mexican Independence day celebrations hosted by the Mexican embassy in London. Other past clients include the U.S Embassy, the British Museum, the Victoria & Albert museum, IKEA, Disney, the British Library to name a few. Not only is each member a fantastic instrumentalist in her own right, but there are no less than three lead vocalists in the group, all with the vocal power and clarity expected in any serious mariachi band. Officially a 7-piece band, this female Mariachi band can play in smaller groups if required, all the way down to a duo if necessary, though this is not recommended for an authentic mariachi sound. 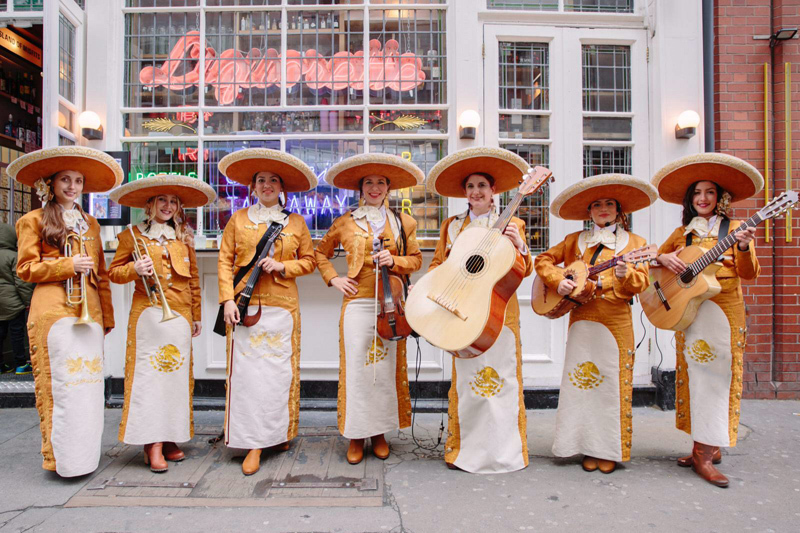 With tight vocal harmonies and years of experience on their instruments and in the mariachi style, this female Mariachi band also look the part! 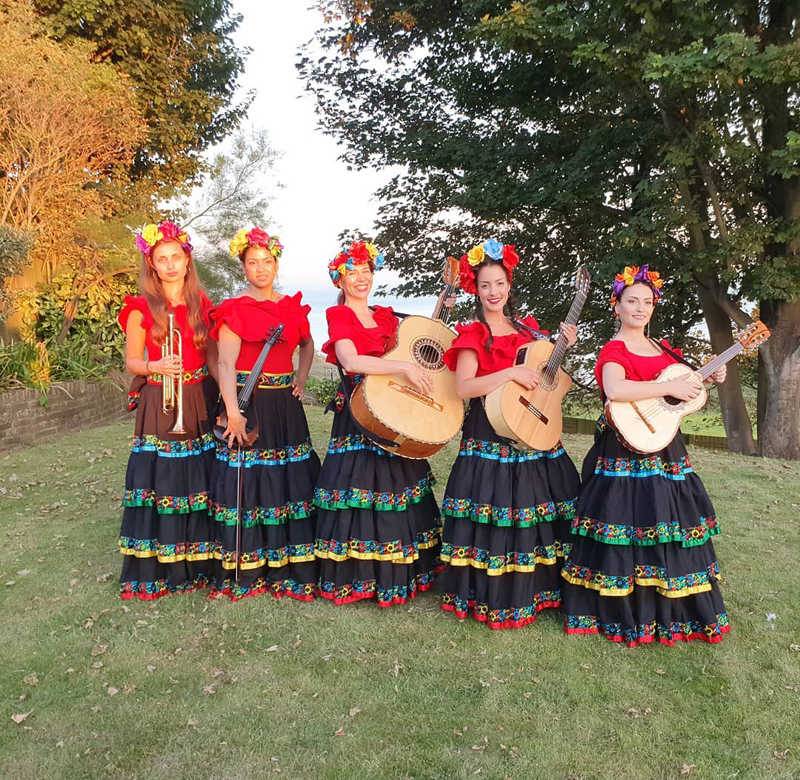 They are available to play serenades as per the Mexican tradition, as well as festivals, cultural events and absolutely any kind of celebration. All of the mariachi classics are included in their repertoire, with some beautiful arrangements of well-known songs including classics in English arranged in an. 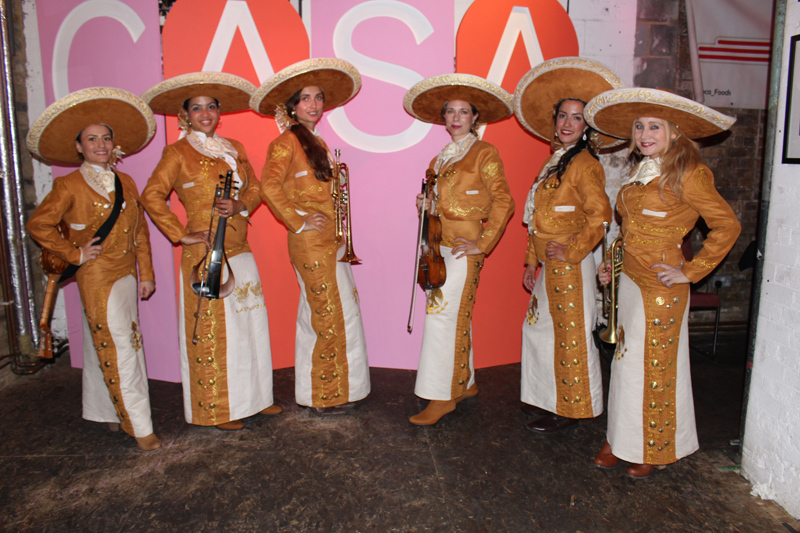 authentic mariachi style, which makes the band truly versatile. 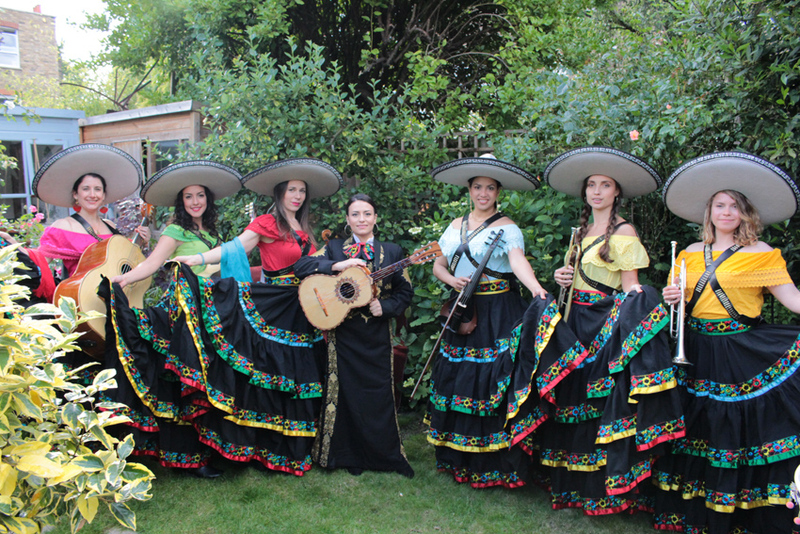 They have 4 different styles of mariachi outfits made to measure in Mexico, which clients can choose from. They can travel anywhere and are very happy to learn any favourite song for a special occasion. You can happily hire them completely acoustically or they can also provide amplification if needed.